How well did you do in 2015? Did you achieve all your 2015 todo’s? Good for you if you did, if you did not, that’s fine you can do better in 2016. But what if you don’t have a to-do list? Well, I think it is time for you to create one. If you received a daily planner gift last Christmas, now is the time to use it. Before preparing your career in the year 2016, it is very important to reflect and assess your previous year. Accomplishments, even small and simple can help boost your motivation. Do you remember that satisfied client you had last June 2015? Remembering simple accomplishments like that can be a pat on your back saying “You are doing well!”. Trivia: Did you know that thinking of your accomplishments will give you pleasure (you know the ethical pleasure)? Thinking of your achievements in the year 2015 will send dopamine to your brain. Dopamine is a neurotransmitter. It is a chemical messenger that helps in the transmission of signals in the brain and other vital areas. As a result, dopamine will impact you in many ways: motivation, memory, behavior and cognition, attention, sleep, mood, and learning. That’s a great start for you in the year 2016, isn’t it? So do yourself a favor and think of the positive things you did in 2015. What goals did you reach this year? What went well? Do more of it in 2016. What went wrong? How can you fix it? In the same manner, evaluating your next actions to attain your goals for 2016 is also important. If you don’t evaluate yourself and your achievements, you will never know where you are in your desired success. Ask yourself, “What projects do I need to move forward to year 2016?”. Start to prioritize and rank each project. Make a prioritized To-Do list for each month, each week and each day. Start with each month and drill down on how you will achieve them weekly and daily. Make sure to be specific with the goals that you want to achieve. Note: This may seem a lot of things to do but this will help you achieve and keep track of your goals. In the list below, you may find some goals that you want to achieve in the year 2016; however, these are just examples, you might find yourself in a different situation so feel free to create your own 2016 career goals. 1. Job Goals. If you are a fresh graduate looking for a job since 2015, assess yourself if you are getting positive results in your job search. Maybe you need to search jobs in a different way. If you are just looking for a job in the traditional manner, why not look for a job in the internet. I am sure you will find a lot of job vacancies in Monster.com, Indeed or JobsDB. It would be helpful to read my blog post on the Top Job Sites in the Philippines and see if you get the job posts suitable for you. Evaluate yourself in each job post. Maybe you do not have the qualifications yet that’s why you are rejected in your interview. If that is the case, learn first the qualifications needed for the job—it could be a simple Microsoft Word proficiency, an important communication skill or a difficult Project Management knowledge. The problem could also be your resume, so take time in improving your resume. 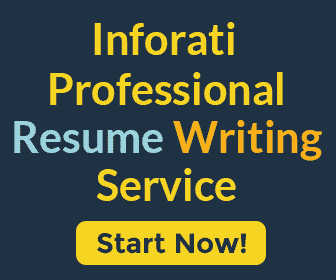 Here’s your guide in creating a Recent Graduate Resume. 2. Promotion Goals. We all desire for power. If your goal is to get promoted for the year 2016, know the politics in your office and master some leadership skills. Also, be sure to be prepared for a greater responsibility. 3. Skill Goals. What are the things you wish you knew in the year 2015? The skills that would have helped you in your 2015 activities. Is there a specific skill you want to master—Typing Skill, PowerPoint, Excel, Photoshop? Write them all down and give at least 4-5 hours a week this year to practice them. If you think you don’t have time, come on, we are on the era of online learning. Here are top online training sites where you can learn specific skills during your free time or at home. 4. Network Goals. Are there people you would like to talk to in the year 2016? Write them down and find a way to meet them. Maybe even exchange business card with them. Set a specific date where you can contact them and add them to your professional network. Here is a guide on building and maintaining your professional network. 5. Credibility Goals. Do you have a good online credibility? Search your name on Google and see if the search results are good for your career this 2016. Go to Facebook and check your profile. Maybe your Facebook image last time you got drunk at the party is seen publicly? Maybe you cursed in your posts in Twitter? In the year 2016, I am sure that online credibility is a big factor in someone’s career. Start checking your social media profiles now and hide bad posts you had in the past. If you really want to strengthen your brand this 2016, I suggest you create a LinkedIn account. LinkedIn is a social networking site designed for professionals like you. At LinkedIn, you can build your professional identity online and stay in touch with colleagues and classmates. You can also find opportunities, business deals, and new ventures at LinkedIn. Who knows? The online generation is full of potential and what’s nice about it is you can use social media to build your brand and achieve success. 1. What happened: A.M. and P.M.? 2. What went well? Do more of it. 3. What went wrong? How do I fix it? 4. What projects do I need to move forward tomorrow? A = Must be completed tomorrow. B = Good to be completed tomorrow. C = If there is spare time from A and B priorities. 6. Make a prioritized To-Do list. This Plan, Do, Review Cycle will keep you informed of your achievements and will let you know about the things that you invested your time in. In this way, you will feel better, sleep better, and come to work the next day with focus. I am sure that your 2016 career goals will be achieved as long as you stick to the process. Good luck and Happy New Year!